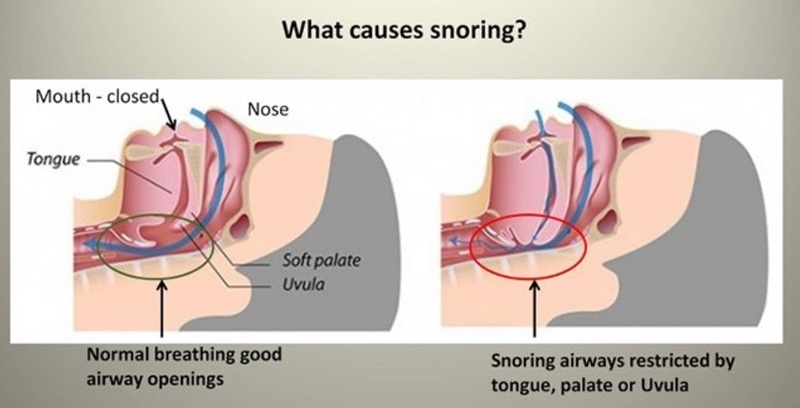 Snoring is caused by the throat muscles losing tone and the tongue flopping back into the airway. As air needs to travel through a narrower opening, it causes the uvula and soft palate to vibrate. Snoring is the sound of these structures at the back of the throat vibrating. Snoring puts a lot of strain on relationships and is detrimental to the sleep of the snorer and those sleeping nearby. It can also be a symptom of a serious medical problem known as sleep apnoea, when your airway CLOSES COMPLETELY while you sleep. This in turn leads to high blood pressure, heart attacks, strokes, diabetes and many other health issues. There are many options for stopping your snoring. If you are overweight, losing weight may reduce your snoring as the fatty deposits in and around your neck region will be reduced, thus increasing the size of your airway. It is however, often insufficient to overcome all the snoring. Avoiding sleeping on your back may also be helpful. Avoiding alcohol 3 hours before sleep, sleeping pills and smoking will also help. Smoking swells up the tissues in your airway. Alcohol relaxes the throat muscles which will worsen the snoring. Sleeping pills do the same which will ironically make it harder for you to get good sleep. There are also unproven and ineffective options such as ‘boil and bite’ devices, nasal strips and sprays, nose clips, chin straps and special fruit juices. Surgery is another option but is not preferred due to a low success rate in stopping snoring coupled with significant post-operative pain and side effects. The best option for curing snoring is a custom-fitted oral appliance. They work by pulling your lower jaw and the tongue (which is attached to the jaw) forward. This keeps the airway wide open by stopping the tongue from flopping back into it. 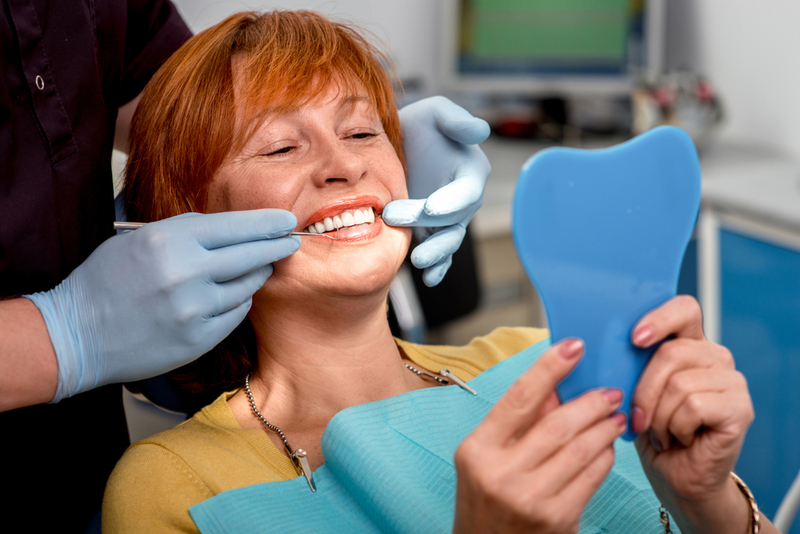 There are several designs available based on the shape of your teeth as well as your bite and all are comfortable and effective. If you or a loved one snore and want to take back control and have a quiet, restful night’s sleep, call Westside Dentistry today on 3278 0580 to see if you are a good candidate for this therapy.